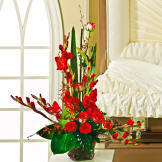 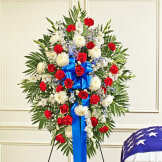 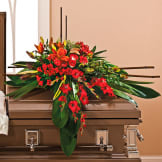 A beautiful tribute in red designed for pedestals. 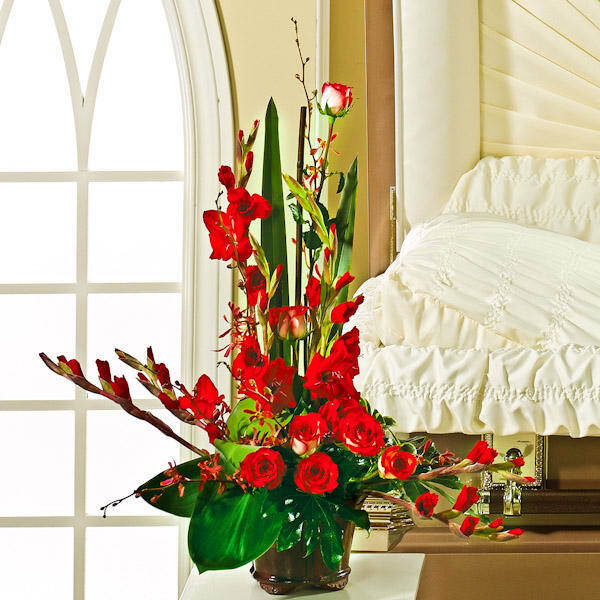 • This lovely pedestal arrangement (shown on left here) is made with gladiolus, roses, orchids, ti leaves, fatsia, flax and pittosporum hand-arranged in a ceramic planter. • Measures 32"H x 35"W x 23"D.